There is a bad news and good news concering Minoru Hayashi. Bad news: Minoru Hayashi K4SS project was suspended because legal fee against former-wife run up. Good news: Hayashi (71 ages!) became father on Oct 21. His son's name is "Kirin." 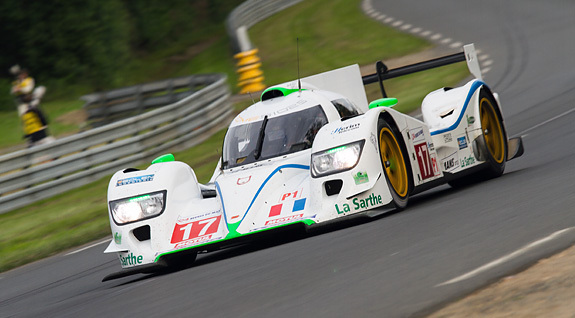 Kirin is our biggest hope to see Dome again at Le Mans! Go get it tiger! Sorry for multi time off topic. Taiwanese XING Mobility's Miss R electric car uses Dome Mother Chassis monocoque. Today Dome held a garage sale at Dome HQ Maibara. This is one of the items sold (30,000 yen), it is the Peugeot 908 wind tunnel model!. Interesting that Dome bought that from Peugeot! Dome announces that they will build new CFRP factory next to HQ, Maibara. Why is this a revolutionary news? That is because this means Dome will regain the CFRP manufacturing facility. They sold the last one, correct? I hope this means a comeback to sportscar racing for the group. Yes. Dome had sold all CFRP manufacturing facility to Toray. Dome begins a promoter business. JRP (promoter of Japanese Super Formula) announces that JRP, Cox and Dome launched Japan TCR Management Co., Ltd. which promotes TCR race series from 2019 in Japan. Dome has developed micro formula car of Cheetah successor. It evolved from tubular frame to CFRP monocoque. The extension work of the factory of Dome was completed. Dome will develop next gen FIA-F4 car called Dome F111/3. Missing the times Dome was doing cars, real cars. All times are GMT. The time now is 22:45.